The new electrode materials with large specific capacitance, cycling stability and high capability are important for the development of supercapacitors. In this work, a series of two-dimensional large-size nanosheet was prepared through one-step exfoliating K4Nb6O17 crystals. The ultrathin K4Nb6O17 nanosheets composed of bilayer sheets were formed with several micrometers in size. Then the K4Nb6O17 nanosheets with the thickness of about 2 nm can act as the soft templates of dopamine polymerization. The electrochemical properties of the carbon-doped K4Nb6O17 as elec-trode materials for supercapacitor are characterized. More importantly, the results indicated that the C-doped K4Nb6O17 exhibit excellent electrochemical performance with high specific capacitances of up to 330 F∙g−1 at 0.5 A∙g−1, durability at high current density (161 F∙g−1 at 100 A∙g−1), and cycling stability (at the current density of 10 A∙g−1, remarkably, delivering over 95% of the initial capacitance after 10 000 cycles). These remarkable results demonstrate the exciting commercial potential for high performance, environmentally friendly and low-cost electrical energy storage and transition devices based on this new 2D nanomaterial. Chu, S. and Majumdar, A. (2012) Opportunities and Challenges for a Sustainable Energy Future. Nature, 488, 294-303. Fairley, P. (2015) Energy Storage: Power Revolution. Nature, 526, 102-104. Xiao, H., Wang, S., Zhang, S., Wang, Y., Xu, Q., Hu, W., Zhou, Y., Wang, Z., An, C. and Zhang, J. (2017) Interlayer Expanded Molybdenum Disulfide Nanosheets Assembly for Electrochemical Supercapacitor with Enhanced Performance. Materials Chemistry & Physics, 192, 100-107. Pandolfo, A.G. and Hollenkamp, A.F. (2006) Carbon Properties and Their Role in Supercapacitors. Journal of Power Sources, 157, 11-27. Yu, Y., Zhai, Y., Liu, H. and Li, L. (2016) Single-Layer MnO2 Nanosheets: From Controllable Synthesis to Free-Standing Film for Flexible Supercapacitors. Materials Letters, 176, 33-37. Liu, Z., Zeng, Y., Tang, Q., Hu, A., Xiao, K., Zhang, S., Deng, W., Fan, B., Zhu, Y. and Chen, X. (2017) Potassium Vapor Assisted Preparation of Highly Graphitized Hierarchical Porous Carbon for High Rate Performance Supercapacitors. Journal of Power Sources, 361, 70-79. Zhang, L.L. and Zhao, X.S. (2009) Carbon-Based Materials as Supercapacitor Electrodes. Chemical Society Reviews, 38, 2520-2531. Wang, Y., Shi, Z., Huang, Y., Ma, Y., Wang, C., Chen, M. and Chen, Y. (2009) Supercapacitor Devices Based on Graphene Materials. Journal of Physical Chemistry C, 113, 13103-13107. Elkady, M.F., Strong, V., Dubin, S. and Kaner, R.B. (2012) Laser Scrib-ing of High-Performance and Flexible Graphene-Based Electrochemical Capacitors. Science, 335, 1326-1330. Fuertes, A.B. and Sevilla, M. (2015) Hierarchical Mi-croporous/Mesoporous Carbon Nanosheets for High-Performance Supercapacitors. ACS Applied Materials & Interfaces, 7, 4344-4353. Lota, G., Centeno, T.A., Frackowiak, E. and Stoeckli, F. (2008) Improvement of the Structural and Chemical Properties of a Commercial Activated Carbon for Its Application in Electrochemical Capacitors. Electrochimica Acta, 53, 2210-2216. Shaijumon, M.M., Ou, F.S., Ci, L. and Ajayan, P.M. (2008) Synthesis of Hybrid Nanowire Arrays and Their Application as High Power Supercapacitor Electrodes. Chemical Communications, 20, 2373-2375. Toupin, M., Brousse, T. and Bélanger, D. (2004) Charge Storage Mecha-nism of MnO2 Electrode Used in Aqueous Electrochemical Capacitor. Chemistry of Materials, 16, 3184-3190. Sugimoto, W., Iwata, H., Yasunaga, Y., Murakami, Y. and Takasu, Y. (2003) Preparation of Ruthenic Acid Nanosheets and Utilization of Its Interlayer Surface for Electrochemical Energy Storage. Angewandte Chemie, 42, 4092-4096. Rudge, A., Davey, J., Raistrick, I., Gottesfeld, S. and Ferraris, J.P. (1994) Conducting Polymers as Active Materials in Electrochemical Capacitors. Journal of Power Sources, 47, 89-107. Liu, X., Que, W., Xing, Y., Yang, Y., Yin, X. and Shao, J. (2016) New Architecture of a Petal-Shaped Nb2O5 Nanosheet Film on FTO Glass for High Photocatalytic Activity. RSC Advances, 6, 9581-9588. Jose, R., Thavasi, V. and Ramakrishna, S. (2009) Metal Oxides for Dye-Sensitive Solar Cells. Journal of the American Ceramic Society, 92, 289-301. Su, J.C., Lu, C.L. and Chu, C.W. (2009) Design and Fabrication of White Light Emitting Diodes with an Omnidirectional Reflector. Applied Optics, 48, 4942-4946. Zoolfakar, A.S., Rani, R.A., Morfa, A.J., O’Mullane, A.P. and Kalantarzadeh, K. (2014) Nanostructured Copper Oxide Semiconductors. Journal of Materials Chemistry C, 27, 5247-5270. Wei, M., Wei, K., Ichihara, M. and Zhou, H. (2008) NbO Nanobelts: A Lithium Intercalation Host with Large Capacity and High Rate Capability. Electrochemistry Communi-cations, 10, 980-983. Augustyn, V., Come, J., Lowe, M.A., Kim, J.W., Taberna, P.L., Tolbert, S.H., Abruña, H.D., Simon, P. and Dunn, B. (2013) High-Rate Electrochemical Energy Storage through Li+ Intercalation Pseudocapacitance. Nature Materials, 12, 518-522. Lee, J.W., Hall, A.S., Kim, J.D. and Mallouk, T.E. 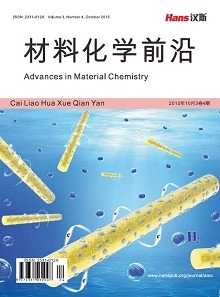 (2012) A Facile and Template-Free Hydrothermal Synthesis of Mn3O4 Nanorods on Graphene Sheets for Supercapacitor Electrodes with Long Cycle Stability. Cheminform, 43, 1158-1164. Li, Z., Zhang, L., Li, B., Liu, Z., Liu, Z., Wang, H. and Li, Q. (2016) Convenient and Large-Scale Synthesis of Hollow Graphene-Like Nanocages for Electrochemical Supercapacitor Ap-plication. Chemical Engineering Journal, 313, 1242-1250. Liu, H., Yu, T., Su, D., Tang, Z., Zhang, J., Liu, Y., Yuan, A. and Kong, Q. (2017) Ultrathin Ni-Al Layered Double Hydroxide Nanosheets with Enhanced Supercapacitor Performance. Ceramics International, 43, 14395-14400. Zhou, R., Han, C. and Wang, X. (2017) Hierarchical MoS2-Coated Three-Dimensional Graphene Network for Enhanced Supercapacitor Performances. Journal of Power Sources, 352, 99-100. Zhou, D., Wang, H., Mao, N., Chen, Y., Zhou, Y., Yin, T., Xie, H., Liu, W., Chen, S. and Wang, X. (2017) High Energy Supercapacitors Based on Interconnected Porous Carbon Nanosheets with Ionic Liquid Electrolyte. Microporous & Mesoporous Materials, 241, 202-209. Kudo, A., Sayama, K., Tanaka, A., Asakura, K., Domen, K., Maruya, K. and Onishi, T. (1989) Nickel-Loaded K4Nb6O17 Photocatalyst in the Decomposition of H2O into H2 and O2: Structure and Reaction Mechanism. Journal of Catalysis, 120, 337-352. Du, G., Chen, Q., Yu, Y., Zhang, S., Zhou, W. and Peng, L.M. (2004) Synthesis Modification and Characterization of K4Nb6O17-Type Nanotubes. Journal of Materials Chem-istry, 14, 1437-1442. Miyamoto, N., Yamamoto, H., Kaito, R. and Kuroda, K. (2002) Formation of Extraordinarily Large Nanosheets from K4Nb6O17 Crystals. Chemical Communications, 20, 2378-2379. Li, H., Gao, L., Zhang, D. and Lin, T. (2016) Preparation of Niobium Pentoxide Loaded on Porous Carbon and Its Application in Supercapacitors. CIESC Journal, 67, 3071-3077. Jiao, X., Hao, Q., Liu, P., Xia, X., Wu, L. and Liu, X. (2017) Facile Synthesis of T-Nb2O5 Nanosheets/Nitrogen and Sulfur Co-Doped Graphene for High Performance Lithium-Ion Hybrid Supercapacitors. Science China Materials, 61, 1-12. Yang, H., Xu, H., Wang, L., Zhang, L., Huang, Y. and Hu, X. (2017) Microwave-Assisted Rapid Synthesis of Self-Assembled T-Nb2O5 Nanowires for High-Energy Hybrid Supercapacitors. Chemistry—A European Journal, 23, 4203-4209. Lim, E., Kim, H., Jo, C., Chun, J., Ku, K., Kim, S., Lee, H.I., Nam, I.S., Yoon, S. and Kang, K. (2014) Advanced Hybrid Supercapacitor Based on a Mesoporous Niobium Pentoxide/Carbon as High-Performance Anode. Acs Nano, 8, 8968-8978. Kong, L., Zhang, C., Zhang, S., Wang, J., Cai, R., Lv, C., Qiao, W., Ling, L. and Long, D. (2014) High-Power and High-Energy Asymmetric Supercapacitors Based on Li+-Intercalation into a T-Nb2O5/Graphene Pseudocapacitive Electrode. Journal of Materials Chemistry A, 2, 17962-17970. Kong, L., Zhang, C., Wang, J., Qiao, W., Ling, L. and Long, D. (2016) Nanoarchitectured Nb2O5 Hollow, Nb2O5@carbon and NbO2@carbon Core-Shell Microspheres for Ultrahigh-Rate Intercalation Pseudocapacitors. Scientific Reports, 6, 21177-21186. Deng, Q., Li, M., Wang, J., Zhang, P., Jiang, K., Zhang, J., Hu, Z. and Chu, J. (2017) Boosted Adsorption-Photocatalytic Activities and Potential Lithium Intercalation Applications of Layered Potassium Hexaniobate Nano-Family. RSC Advances, 7, 28105-28113.